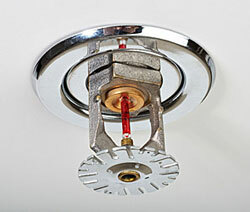 DM2 has installed fire protection systems in businesses and government institutions throughout Northeast Pennsylvania. 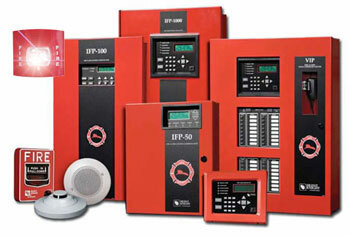 DM2 offers UL certified Honeywell fire alarm panels and other commercial grade add-on features for fire alarms. Pull stations, sirens and strobes warn others on-premise and summon professional help quickly and on demand. Of course, your alarm can be monitored 24 hours a day by the trained operators at our UL-listed central station. Did you know that Pennsylvania is one of the leading states for fire-caused deaths? According to the U. S. Fire Administration, Pennsylvania along with Texas and California led the nation in the number of fire deaths during 2011. During that year 1,385,500 fires in the U. S. resulted in 3,005 deaths, 17,500 injuries and $11.7 billion in property loss. According to the National Fire Protection Association (NFPA) a structure fire occurred in the U. S. every 65 seconds during 2011. 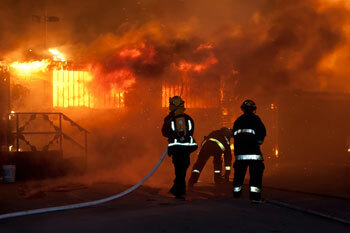 The Pennsylvania State Fire Commissioner reports that there were 9,230 structure fires in Pennsylvania during 2011. A devastating fire can ignite in a business in many ways. A small kitchen fire can flash up quickly in a restaurant. A small chemical fire can flare explosively in manufacturing or mechanic facilities. Arson, the act of someone deliberately and criminally starting a fire, can happen at any type of business. With so many fire risks present, every business owner would be wise to invest in a commercial grade fire system that is watched over around the clock by an alarm monitoring service. DM2 can tie your fire alarm into your sprinkler system – and when requested, DM2 can even monitor your sprinkler system. That way, you can receive a call if the sprinkler is activated after hours. Temperature threshold monitoring (environmental monitoring) notifies you if a supervised temperature goes above or below preset limits. This is an excellent service for businesses with refrigeration rooms or other climate control requirements. DM2 provides testing, inspection and certification services that are required by code. Make sure your fire alarm system is in full compliance and fully functional. To inquire about fire alarm systems for business or any of the other services described here, contact DM2 Security today. We will be glad to discuss your fire protection and monitoring needs.